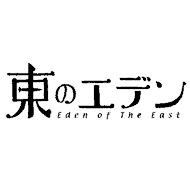 Hello Higashi no Eden fans. I’m Mitsuto Hoshi and I’m big fan. This is a website dedicated to HNE series. I’s my personal blog where i give my opinions on the franchise. I analyze the characters, the plot lines, the story and the situations our heroes get into. While i try to keep them thorough and precise i will sometimes point out some weak points and obvious plot holes, and suggest a better and more real reactions of the characters. Join me in the conversation, I would love to hear from you.